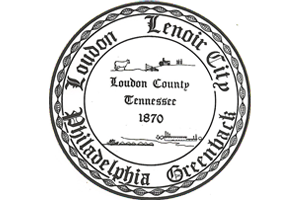 Congratulations on being selected for jury service in Loudon County! Your service is essential to the administration of justice, and your participation is greatly appreciated by the judges, attorneys, and parties. The constitutional right to a jury trial is critical to our judicial system, and jurors are a crucial part of the process. Serving as a juror is not only an obligation, but a right and privilege. Thank you for serving. A judge and jury coordinator will be available to answer any questions you have concerning your service when you appear on [insert date]. However, you may also find the information below helpful. Parking may be found across the street in the courthouse annex parking area, under the bridge on Hackberrry Street and in city lots between Mulberry and Commerce Streets. Parking in front of retail shops is discouraged due to 2 hour time restrictions. These restrictions are enforced by local law enforcement. Length of Service: Details of your term of service will be given on first appearance date but will not exceed (6)six weeks in duration. You will not be required to be at the courthouse each day, but will merely call a recording at (865)458-2042 to see if you are needed. Jurors selected for Criminal Court have delayed service. Those jurors will be summonsed to appear in December, April or August but will not begin actual service until January, May or September. The summons date is for Juror Orientation and seat assignment. Jurors selected to serve in March, July or November have been chosen to serve on Circuit Court. Those jurors will begin service on the next day following their Juror Orientation and seat assignment. Attire: Jurors must be dressed appropriately while in the courthouse. Although the judge will determine whether jurors’ attire is appropriate, jurors should not wear shorts, short skirts, sagging pants, see-through or suggestive clothing, visible undergarments (including undershirts and tank tops), flip flops, house shoes, bandanas, headbands, hats/caps, or clothing with inappropriate or offensive advertisements or slogans. Prohibited Items: Recent security threats have forced security measures to be implemented. Most items are prohibited from entry into the Courthouse. For this reason, please refer to "Permissible Items" for information related to items that should be left at home. Prohibited items include purses and cell phones. Permissible Items: Keys, wallet, paperwork, and paperback book (NO hardback books will be allowed). We appreciate your patience and understanding as we work hard to keep all persons safe entering our building. * Please be advised that Security measures are in place and no purse, pocketbook or bag will be allowed into the Courthouse. Please make arrangements to carry only essentials. Compensation by Court: Jurors will receive $11.00 for each day’s attendance. Employer – Compensation: If an employer employs less than five people on a regular basis or if the juror has been employed by an employer on a temporary basis for less than six months, the employer is not required to compensate the juror during the period of jury service. All other Tennessee employers must provide a juror’s usual compensation for the time the juror actually spends serving and traveling to and from jury duty. An employer has the discretion to deduct the amount of compensation the juror receives from the court. You may request a certificate of attendance when you report for jury duty if your employer requires such a certificate. Employer – Excused Absences: An employer must excuse the juror from employment for each day the juror’s service exceeds three hours if the juror shows the jury summons to the employer upon receipt of the summons. A juror who works the night shift or the hours immediately preceding the hours court is normally held should contact the jury coordinator at (865)458-2042 for additional guidance.